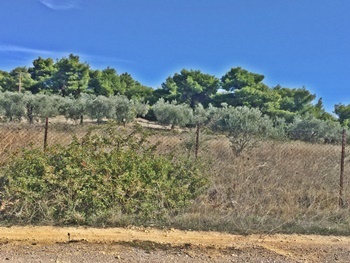 Would all companies and private buyers please note that the property offered below should be assessed by a local lawyer as suitable for building or development purposes, or tourist grant aid, before any purchases take place as Brian's Greek Property cannot be held responsible for any mistakes. 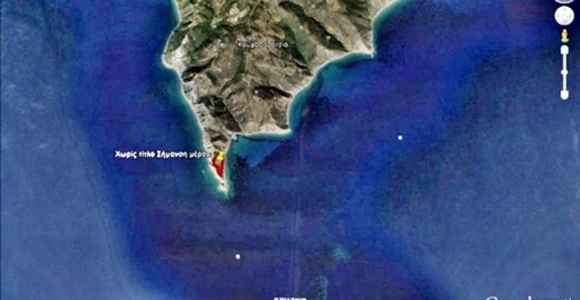 Ripe For Development Sea Side Land North Side Of The Gulf of Corinth : Arachova / Itea / Livadia / Galaxidi. 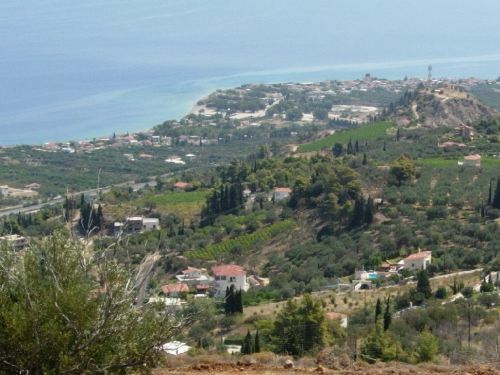 This land is in an excellent location on the North side of the Gulf of Corinth being only 1.5 hours from Athens, 30 minutes from the World Famous ancient monument of Delphi and the best and largest ski resort of Parnassus Mountain. 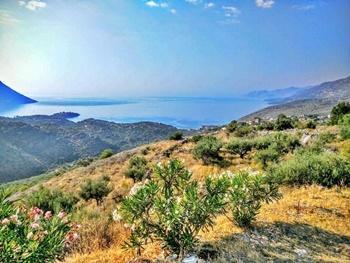 It is surrounded by small traditional villages and towns ( Arachova, Itea, Livadia, Galaxidi, Antikyra, Amfissa etc, ) This magnificent piece of land is ripe for development being right by the sea, with a breathtaking view it combines the crystal clear blue ocean with mountains as a background. 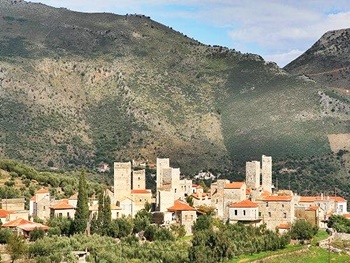 The land size is 24,000 square metres with the possibility of expansion to 42,000 square metres by adding neighbouring land that belongs to the same family. More land alongside can be available. Price depends on how much of the land you want to buy. Negotiations can take place. 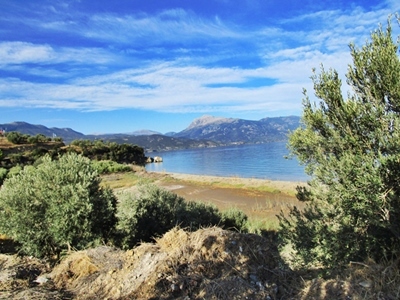 This special plot of land offers privacy, tranquillity, and the location makes it perfect to build your holiday home. It is 4,900 Square Metres in size giving a building allowance of 200 square metres and all utilities are nearby. 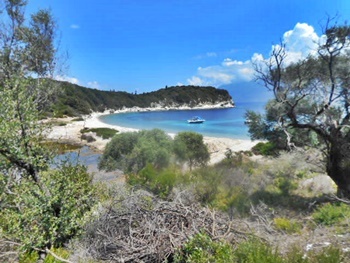 The offshore Islet of Megganisi is the largest of the Lefkas satellites and has a population of approx 15,000 in three villages, with good swimming and is served by four boats a day from Nidri. 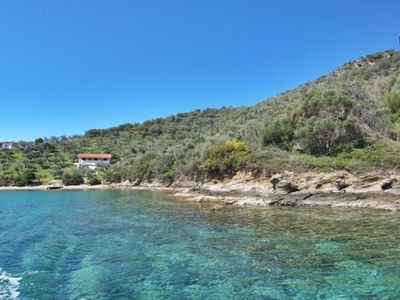 This property is located 420 metres from a beautiful little cove called Glyfo. 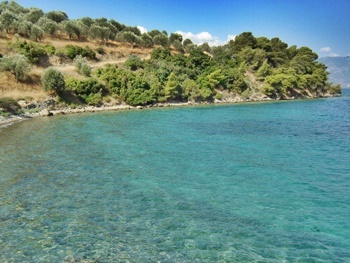 It is three miles from the fishing village of Posidonion. It is 24,000 square metres in size. It is amphitheatric and one can build over 100 rooms. An added advantage is that plans for bungalows have already been approved by the ministry and building can start within two months. Approval from scratch can take up to 2 years. For developers drawings are available. 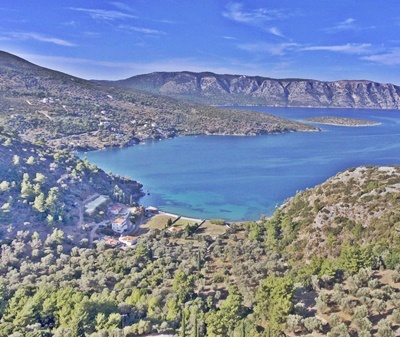 The property is on a main paved road and is in the area of Mavrosikia, three miles before the fishing village of Posidonion facing Turkey. 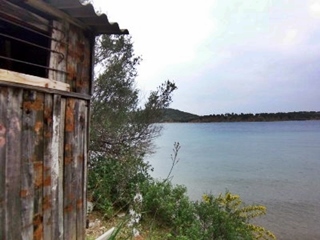 It has a 1 kilometre frontage and there is easy access to water telephones and electricity. 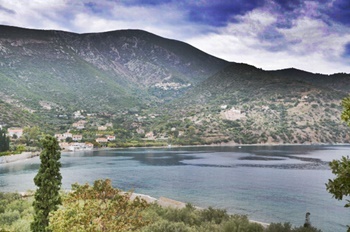 It is only ten minutes from the capital Vathi and has beautiful views over Glyfo Cove. 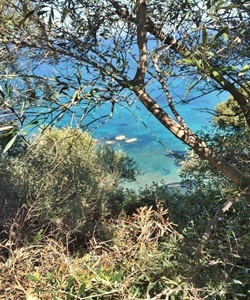 This plot is situated 400 metres from the glorious small bay of Milia with access to the sea and simply breathtaking views. 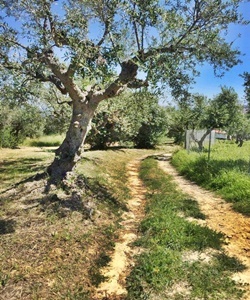 The property has road frontage on two roads : one municipal and one agricultural ( Hence access to all services, electricity and water supply ). There is an already issued building permit valid until 08//09/2018 with a building allowance of 200 sq mts. 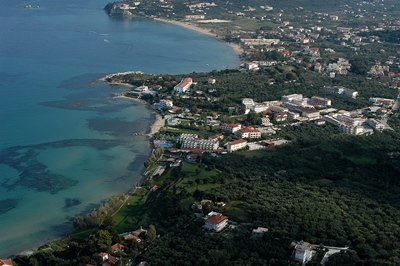 Included in the price are the 10,000 Euro cost of building permit and all architectural plans. 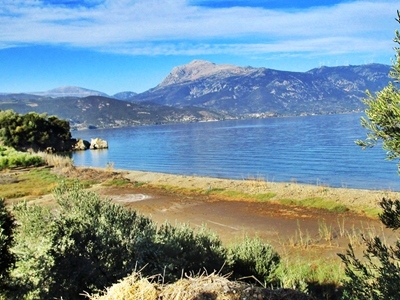 A fantastic beach front parcel of land is for sale on the Peloponnesus mainland, area of Taktikoupoli. 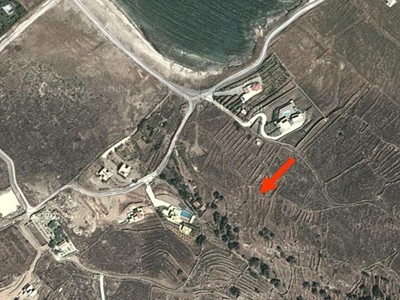 This land is 32.590 square metres and the building allowance can be advised. Architects and builders are available to suggest or carry out your ideas. 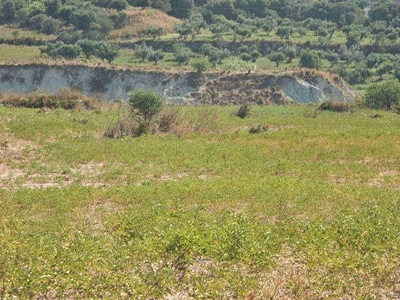 This land is 4,590 sq mts in area and is easy to develop. 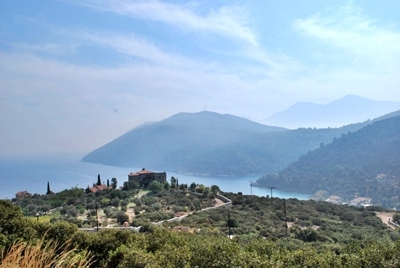 Suitable for residential development this private location has easy access and comes with a private beach and is close to the resort of Vatera and to mooring facilities at the Agios Focas harbour. This exceptional parcel of flat land ( app. 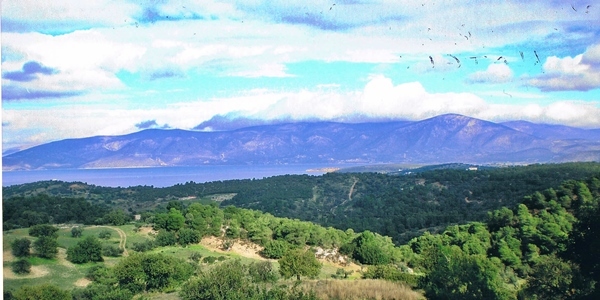 4590 m2 ) is located at an open country position, just off the beaten track and the public road that joins Vatera and Agios Fokas. 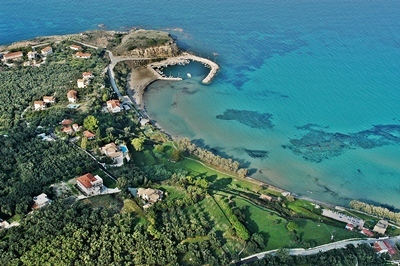 It has the sea front as its front border ( 51.80 m ), therefore the use of the beach fronting the land. 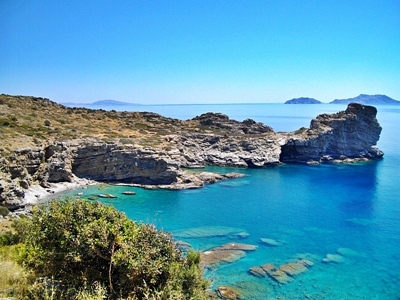 It benefits from uninterrupted sea views of the Aegean Sea with views of Vatera in the distance. The plot is located app. 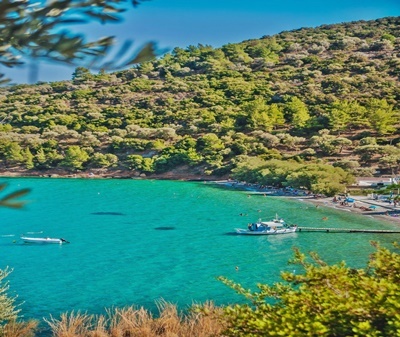 1.2 km from the popular resort of Vatera with the best beach in Lesvos and 800 m away from the harbour of Agios Fokas (where boats can be moored) and where a small pebbly beach is also available. 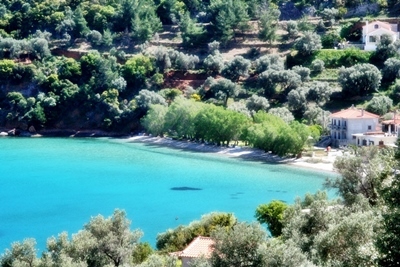 It is a very popular location for private villas of distinction. The plot is eligible for planning permission to build 200 m2 of buildings, making it an ideal plot for a country villa & spacious gardens. 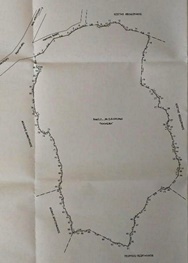 Topographical document is available. Electricity & Water Services can be connected on application. 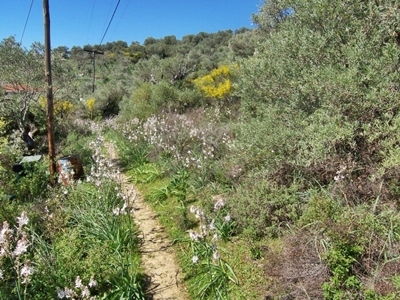 This beautiful plot faces the main road and electricity telephone and water are next door. It is 8.604 Square metres in size. 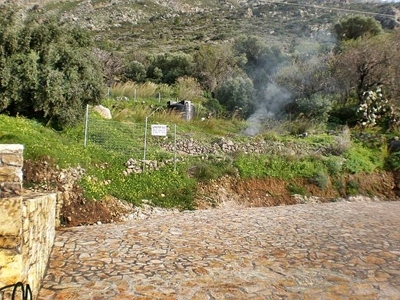 This plot is facing the main road just outside the traditional village of Flomochori and only 5 mins to the village of Kotrona and a 10 minute drive to the beautiful beach of Chalikia and a great base for excursions to the local beaches and traditional / historical villages and fortresses of the Mani as well as the Diros caves Monemvasia castle town and Mistras castle. 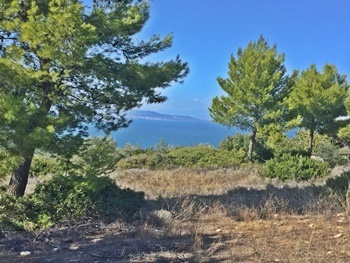 This beautiful plot is 4200 square metres in area with fantastic sea views and a building allowance of 200 square metres. 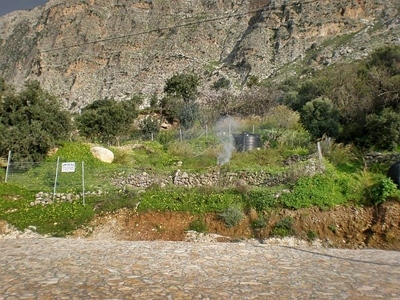 There are 80 olive trees on the plot with water telephone and electricity near the plot. 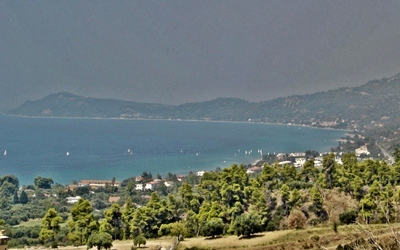 It is only 1.5 klms from Koroni and the beach is 1 klm away. 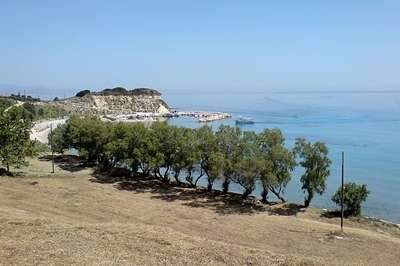 An amphitheatrically positioned plot of land, in the Dio Liskaria bay area, which is located at the end of the Alinda bay. 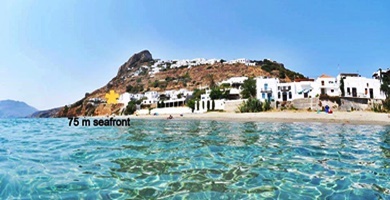 Just 100 meters from one of the most beautiful beaches of Leros, and with a breathtaking view of Agia Marina, the castle of Leros and the Aegean sea. 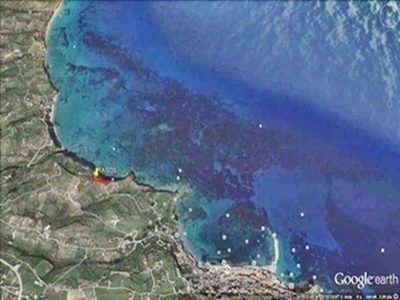 It has a land surface area of 15.760 Sq Mts. 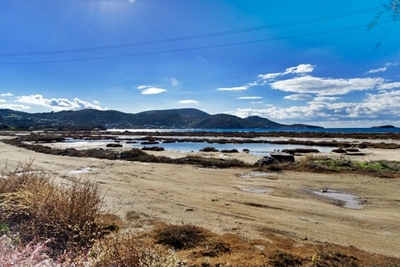 This is a unique opportunity for a prestigious investment, or for residential use, if desired. 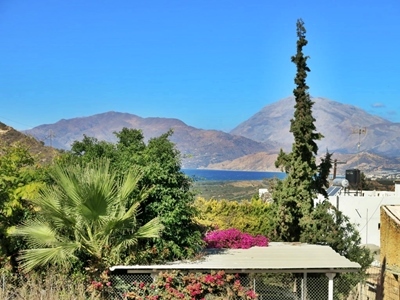 Situated very close to the Alinda area where you can find restaurants, cafes, super market, water sports and all kinds of amenities; but at the same time it is isolated enough to offer much sought-after privacy. 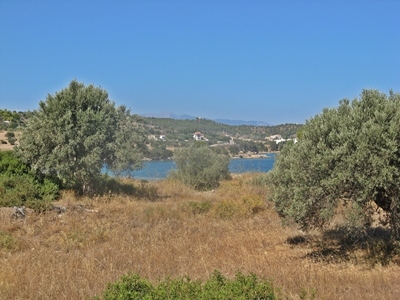 Located on the beach this plot offers an amazing sea view on One of the best locations on the island! 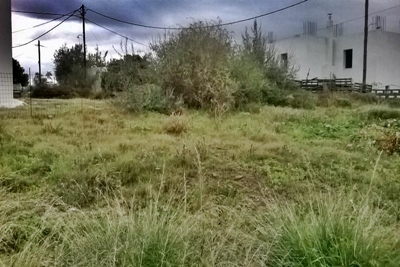 Developable plot of land, within urban plan. 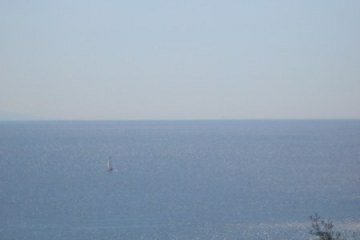 It covers a surface of 2488 m² and is Next to the sea. Easily accessible through the municipal road in a very quiet and green area. 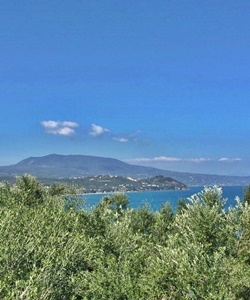 This romantic beach side estate consists of 20,000 m2 of olive grove gently sloping down to the sandy beach. 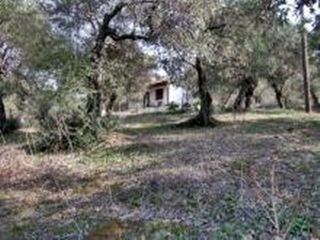 The property is a basic small farm house of 70 m2 with all utilities. 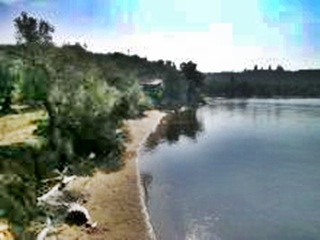 The beach is about 25 meters in front of the house. 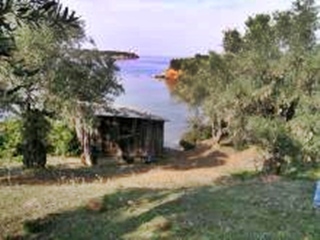 There is also a wooden boat house belonging to the property on the beach. 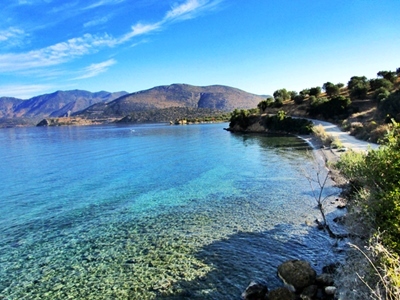 The water front of the estate is 75 meters of sandy beach and rocky islets. The size of the estate is significant because of the potential for extension of the house or additional building. 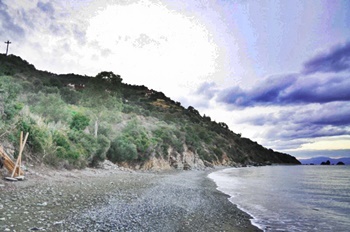 Build a home right next to the sea, next to a small beach. 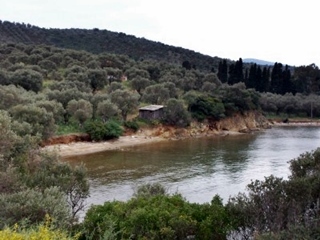 This south-facing, waterfront land is located in an idyllic and quiet setting on Trikeri Island, in South Pelion. 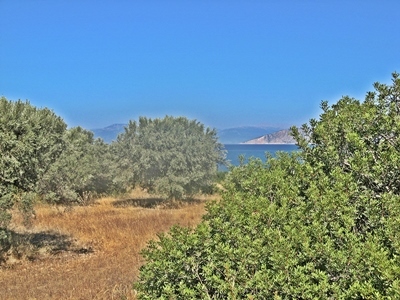 The gently sloped land, a mature olive grove, is some 10 walking minutes from Trikeri harbour and its two tavernas. Electricity and water supply are available next door. 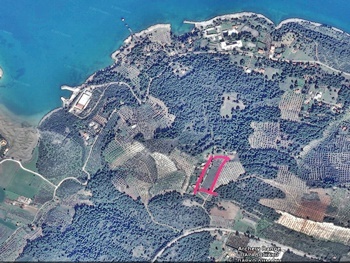 It is possible to build a house of up to 200m2 on this land. 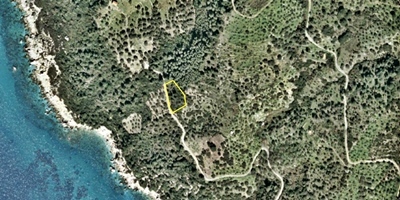 This unique plot of land is located in the highly desirable hamlet of Kerveli, Samos, Greece. 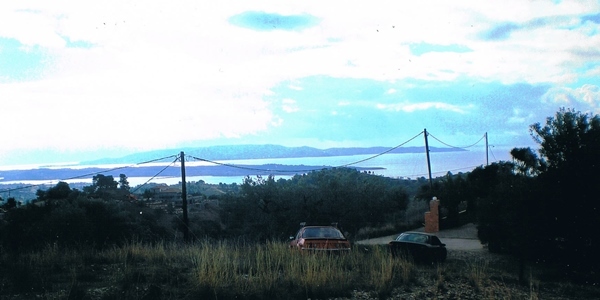 It is a square plot of around 4800m2, has a boundary on a very quiet unmade public road and very close to electricity, water and telephone connections. 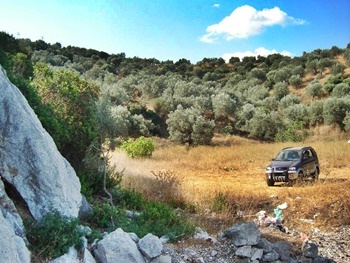 The land is uncultivated and has around 30 producing Olive trees and wild shrubs and grasses. 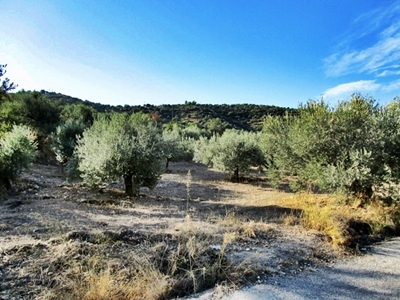 The seller currently keeps the plot in good condition and maintains the Olive trees which produce the highest quality Olive Oil. 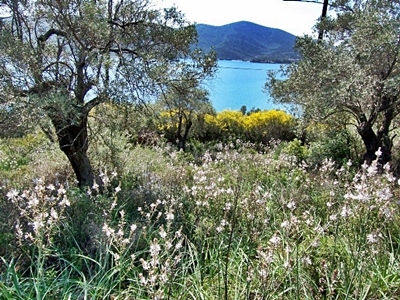 The plot is perfect for someone seeking complete peace and quiet and being close to nature. 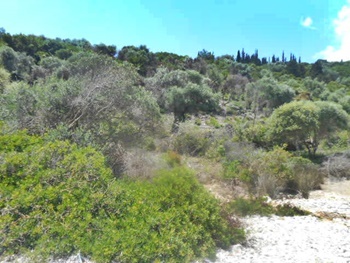 It is cleared by the Forestry Dept for building a house and terraces of up to 200m2. 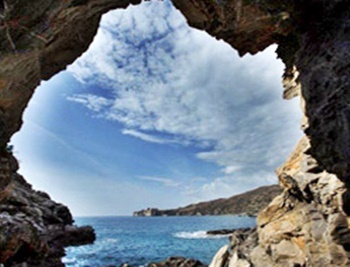 The area faces the Aegean Sea to the East and has dramatic mountain views, the best sunrise and stunning views of the Turkish coastline. 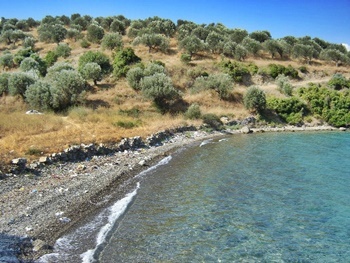 The nearby quiet beach area of Kerveli is close by, both by foot and by car, and there are two local tavernas. 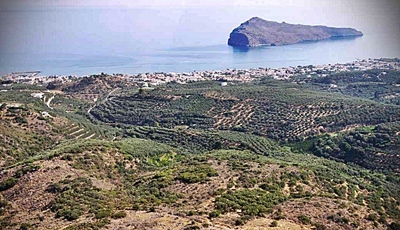 The nearest supermarkets are 10 mins drive and the main town is 15mins drive. 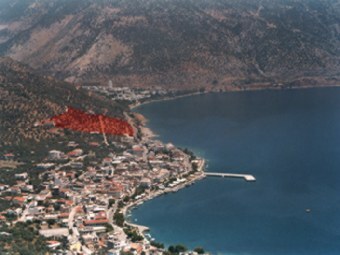 Distance to Samos Airport is around 20km. 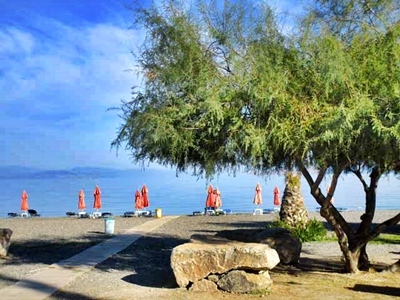 A local hotel offers many summer facilities including scuba diving, Yoga classes and car hire. Habited neighbouring houses during summer months are owned by both English and Italian retired couples with no children, and are built to a very high standard, in keeping with local designs. 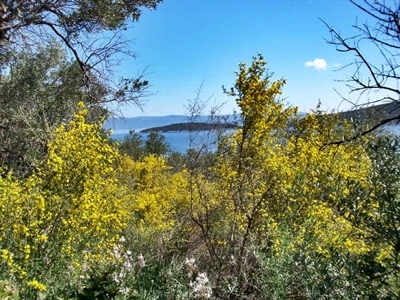 Present owners live in adjacent property so viewing is available. 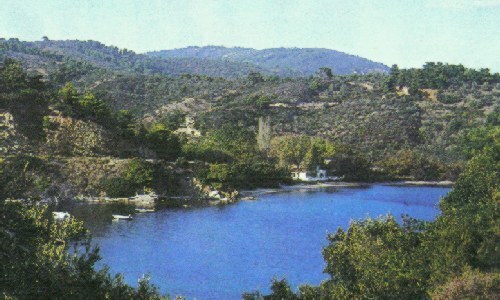 The area is extremely quiet in both summer and winter. A lack of light pollution means stargazing is spectacular on clear nights. There is no pollution, only the sounds from nature, owls, birds etc. 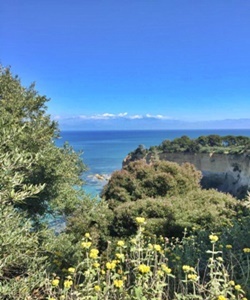 Location : This piece of land lies on the Northern coastline of Paxos and is situated 300 metres from the sea, it has 10 olive trees and the sea view. 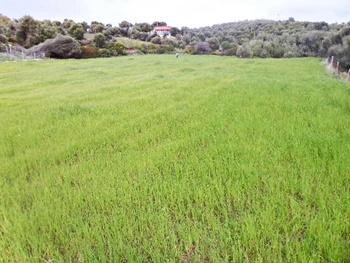 All services are very close as it is next to the house above, PAXOS DT/010...........................The plot is 900 square metres with a building allowance is 70%. 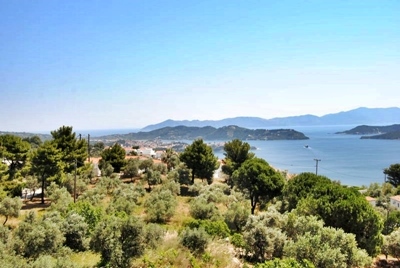 This 400 square metre plot is close to the beach and has a building allowance of 200 square metres. 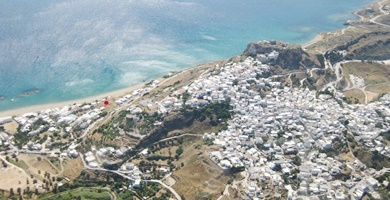 There would be views of the Aegean and the Chora in the distance. 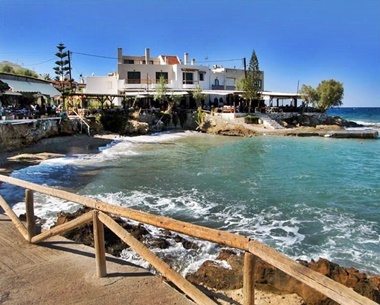 This is a very popular position and a great opportunity in such a good area, with local tavernas, cafes ................much sought after. 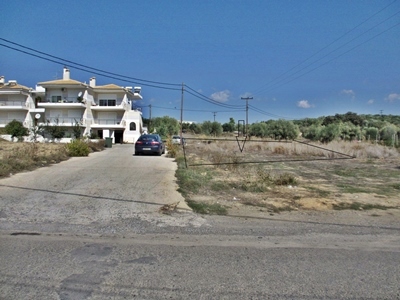 500 Square Metres Within the village building zone with all services nearby. 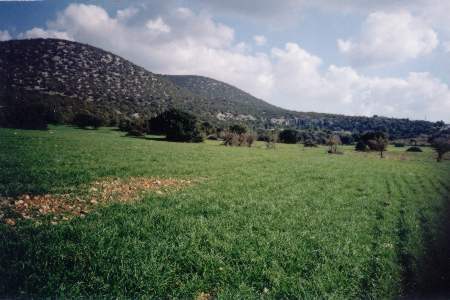 It is 45 klms away from Sparta and 25 kms away from Gythion. 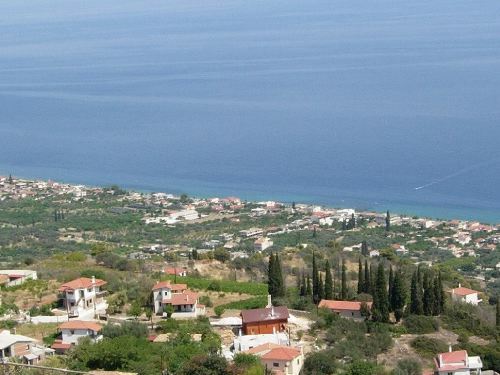 Asteri is a little village of about 300 inhabitants, very close to SKALA and VLAHIOTI towns. 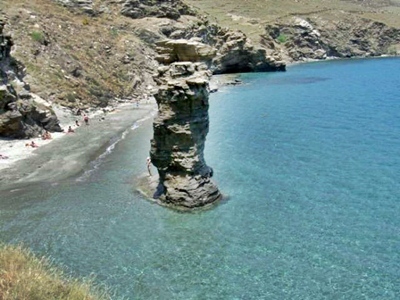 Its distance from the sea is less than 2.5 km, where there is a nice sandy beach. 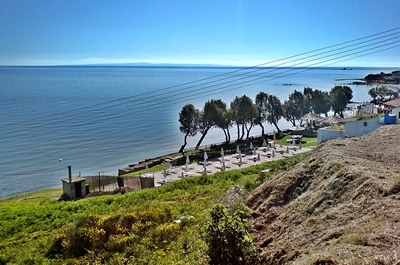 In summer there is a beach-bar in operation. 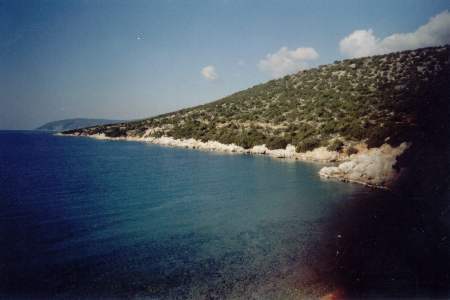 The area near the seaside is a protected NATURA area. 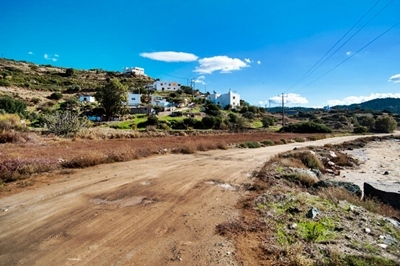 The plot is almost flat and faces a short public dead end road, perpendicular to the main road connecting Asteri to Glykovrisi village. The total building area that can be erected on the plot is 300 sq mts and it can be extended to one or two levels. 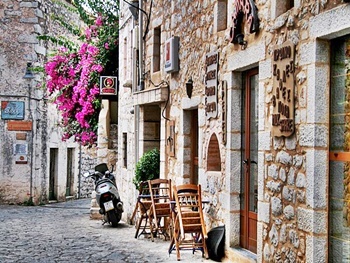 There are not many facilities like shops, restaurants etc. 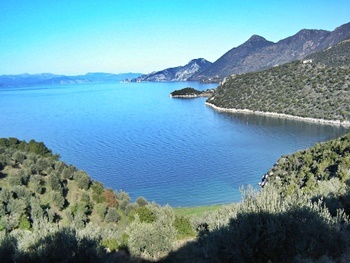 in the village, as its distance from VLAHIOTI is very short (about 3 km) and you can find almost everything there. 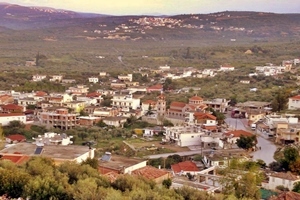 VLAHIOTI is not a village but a small town with a lot of shops, banks, a health center and even an open theater of 1200 seats! 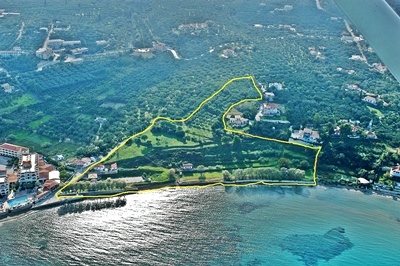 The plot is next to the New Aminzoe Hotel at Porto Heli with lovely South Facing views over Porto Heli, Ververonda and the Island Of Spetses and the sea. All services are close by. 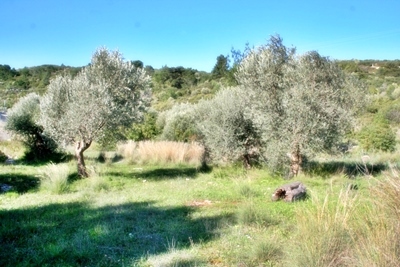 The plot contains a number of olive trees. 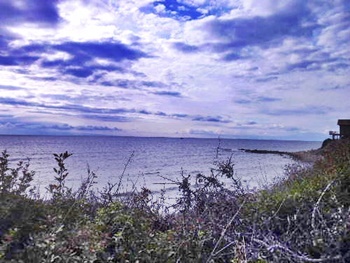 This is a fabulous beach plot where one walks off the land into the sea and where the swimming is absolutely wonderful. The water is crystal clear and the swimming is safe. 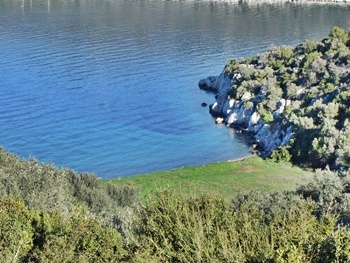 It is a small cove within a bigger bay. 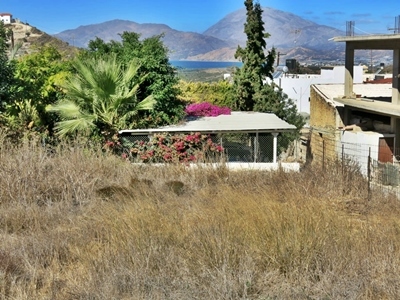 This plot is surrounded by the beauty of the unspoilt countryside of south Crete. 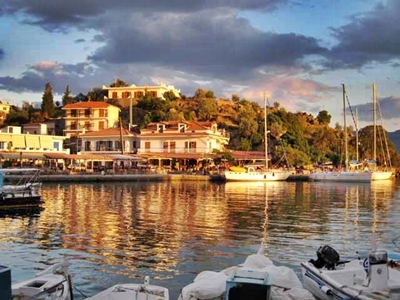 Watch the sunsets and the moon rise out of the sea with the Paximathia islands as a backdrop. With very few lights in the area it is a star gazer’s wonderland. 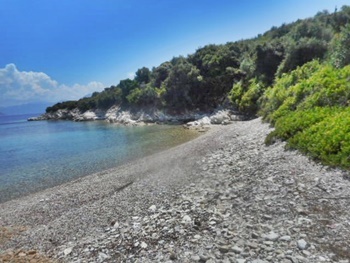 There are only 3 plots which are directly alongside the beach in this cove and this is the last one, and has just come onto the market. 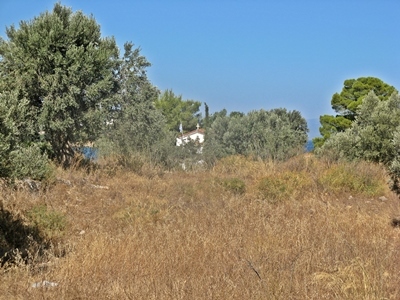 With a total area of 4996 sq metres the plot has building rights of 220 m² for a private villa, with an option to be used as a rental villa . All documentation is in order for immediate sale. 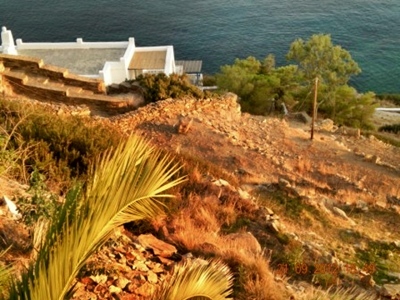 This + 5000m² plot is in a unique setting overlooking a small cove with a beach and panoramic views . 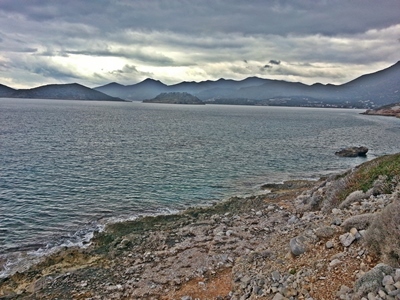 Every direction has breathtaking views. 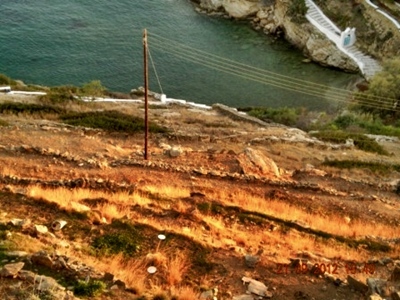 It has a stairway down to sea level. 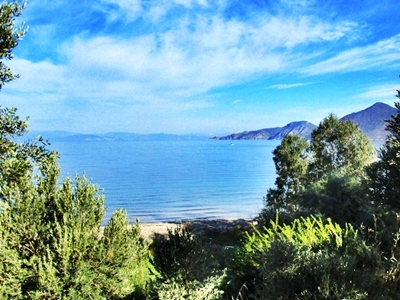 Views are over the sea, the bay, out to the Paximathia islands and across towards Agios Pavlos. 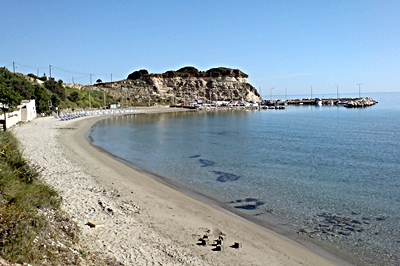 It is just over 400 metres from the new road linking Agios Pavlos to Agia Galini, which is less than 12 kms away. 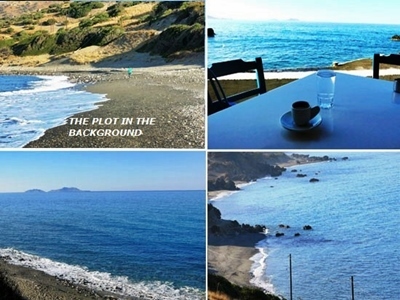 The plot is near Agios Pavlos, Triopetra and Akoumia beaches, with some of the best, beautiful and unspoilt beaches on the south coast and good tavernas too. 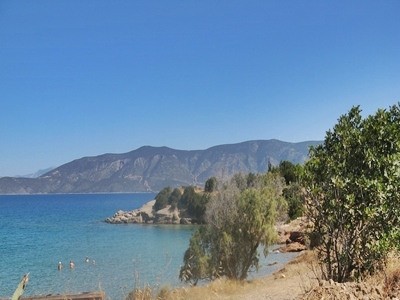 This land is 2 1/2 klms from the port of Loutraki and offers complete privacy for the owner. 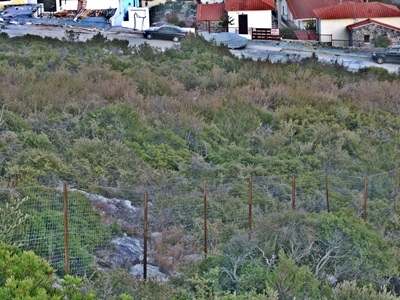 On the left there is forest and on the right the neighbours land is turning inside so you have complete privacy. 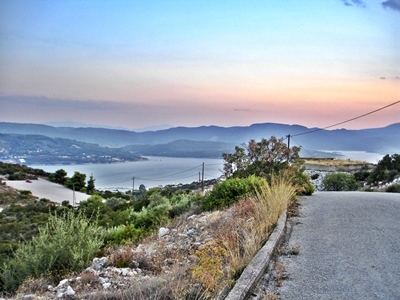 There are two pieces , the main part under the road leading to the sea is 4,000 square metres approx, and the piece above the road is one and a half thousand sq mts so you can place your house in the lower piece where the land forms a nice plateau and where you can make steps down to the sea with a magnificent tiny private bay with a small beach. 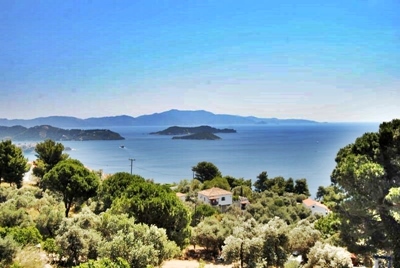 The sea views from your private house are excellent, showing all the South Coast line of Skopelos, Euvoia Island and Skiathos. 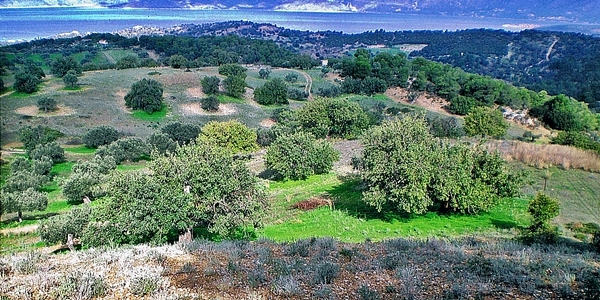 This land is about 22,000 square metres and the views to the sea are spectacular from all points. 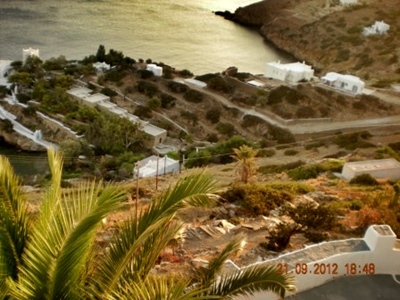 Located on a hill which is only 600 metres from the sea and about 1 klm from the local town and overlooking the marina. 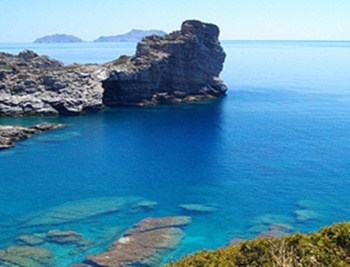 The area is very good for tourist investment and every summer has a lot of visitors from many different countries. 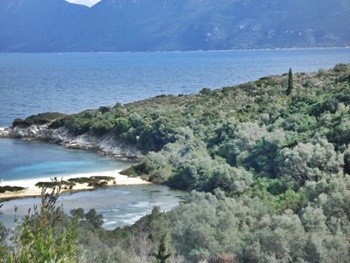 The land could get building permission for tourist development giving a greater building allowance. 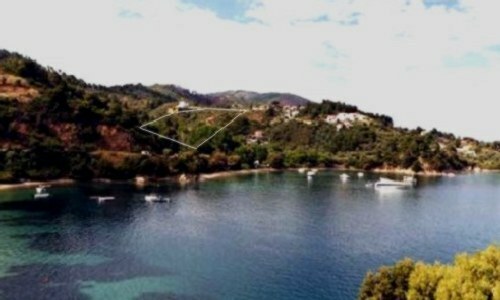 Price : Good Price At 170,000 Euros Code : SKIATHOS KZ/PLOTKAT For more details please E Mail E Mail Brian. 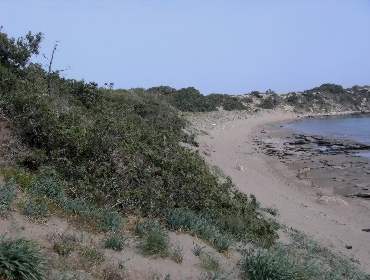 This land is about 5,350 square metres and is a parcel of land with a sea view and view of Mylopotas beach only 50 metres away from the sea. 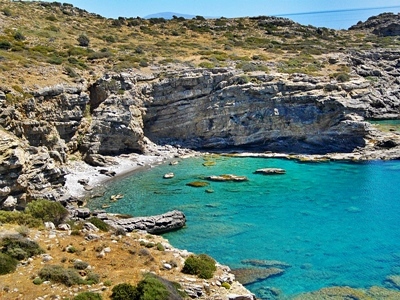 It is located right next to the Greek Painter's studio of Gaitos Museum. 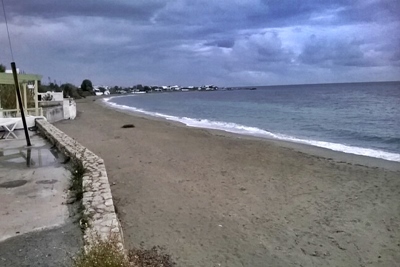 Facing a small beach a few metres away. 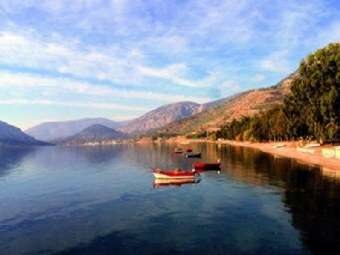 Ideal for tourist development, a small hotel or bungalows. Would make a fantastic guest house. 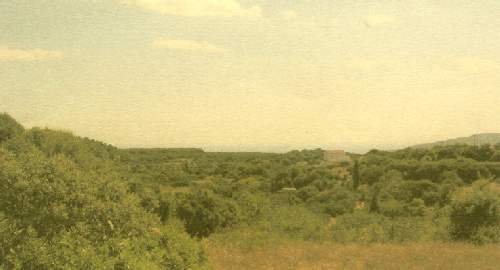 The 2,491 sq.m. 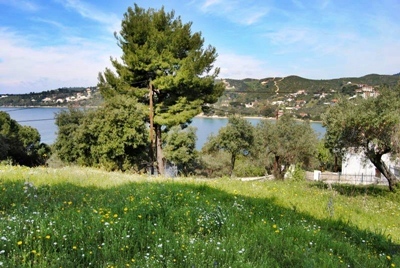 plot is within the town plan, so it has a building allowance of 1,700 sq.m. plus any additional surface resulting from a design in order to take advantage of the slope for commercial use, for example, a beach terrace with cafeteria, etc. The building allowance can be 800 sq.m. (2x400) if the plot is split in two parts (1,000 & 1,492 sq.m.) for residential use (again with extra surfaces resulting from an appropriately adapted design). 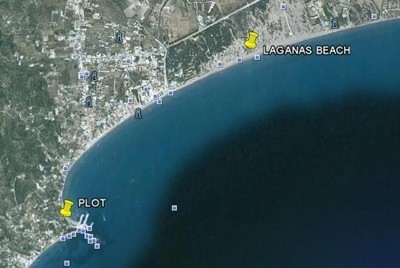 The plot is a rough pentagon with a 62 m long side situated on the beachfront itself, whilst the other two sides run parallel to existing roads. 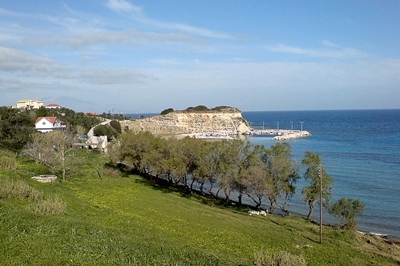 It has a gentle slope towards the beach and is adjacent to a small picturesque fishing dock. A Detailed plan is available. Please E Mail Me. E Mail Brian. A Five star Hotel has been designed for this plot. 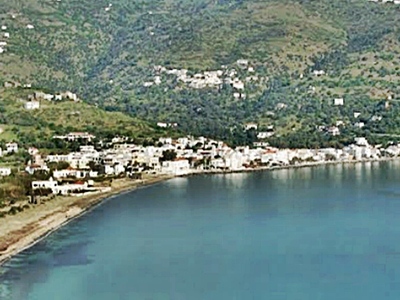 A leaflet has been prepared for the interest of entities and entrepreneurs for the creation of a Seaside Hotel on this land. The project is the creation of a high quality hospitality unit by a firm of architects who have collaborated on more than 20 hotel resorts including the Hilton Hotel In Athens. For a full information leaflet with a full detailed description please E Mail Brian E Mail Brian. 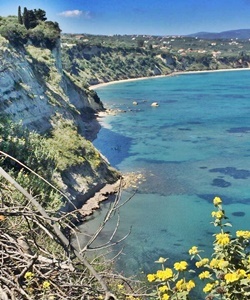 The Location is at Tragaki : East Coast Zante : 6km from Zakynthos Airport and Zakynthos Port and from capital Zakynthos Town : 2km from Tsilivi-Planos villages. 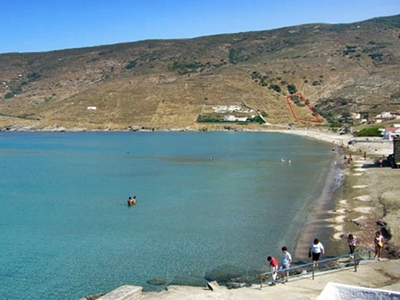 Description, 23,000 square metres of land and a beach frontage of 260m along the sandy beach of Gaidaros, and containing a beach bar : Borders marked with yellow line on bird view. 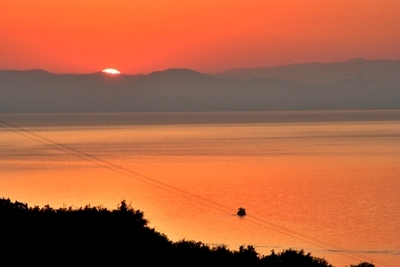 : Public utilities : Electricity, Water supply by landline. 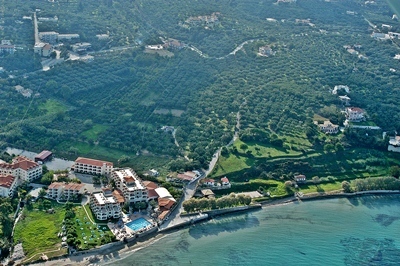 Outdoors there is a Lush Mediterranean seafront location with Panoramic views of the sea and mountain. 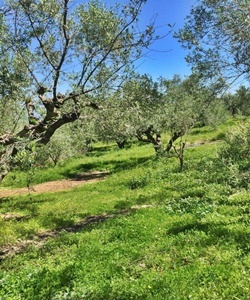 The property has been recently landscaped with outdoor areas of fresh lawn turf, olive and pine trees, and there are 3 water wells on the land. 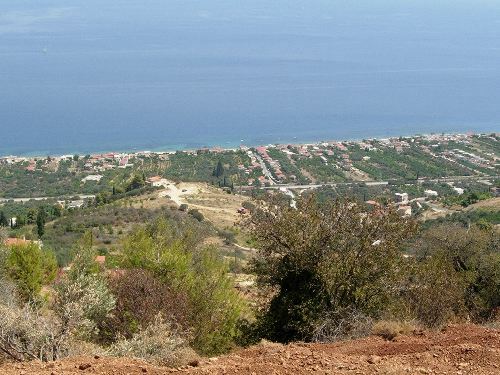 Development : Building allowance is 10,000 square metres, enough for : Commercial property, for example a luxury tourist resort with villas to rent, etc, with swimming pools and gardens, play grounds and sports grounds. Or a 5 star Hotel. 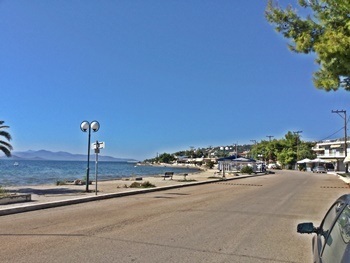 Included in the 23 Stremma is an adjacent tourism property which consists of a seafront family business - snack bar 3,000sqm plot of land with 100m along the beach. The borders are marked in yellow line on bird view photo There are recently landscaped outdoor areas and a newly built retaining wall. 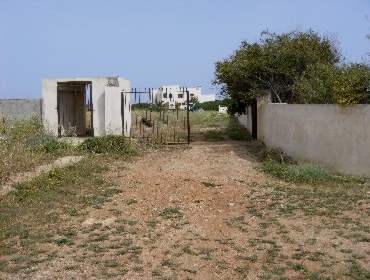 The cost of the land only is 7,000,000 Euros. 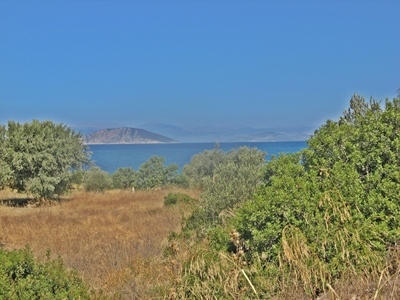 Beautifully situated beachfront property on the north side of the island of Lesvos with stunning views of the Aegean Sea and Turkey. Consisting of two parcels, one approx. 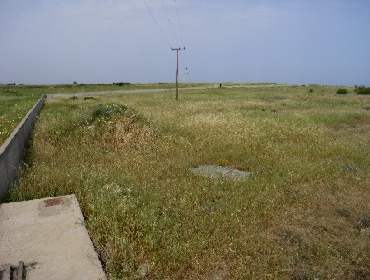 1.000m2, the second 6.000m2, which are separated by a public road (unpaved, to be converted to asphalt in the near future). Ideal for both residential and commercial development (eligible for planning permission). 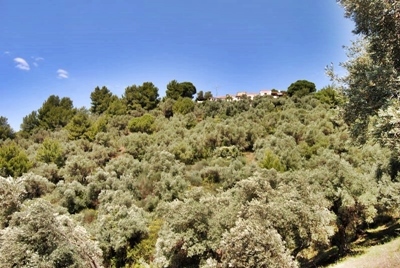 The property’s sun drenched 134-tree olive grove is located on a gently sloping hill. 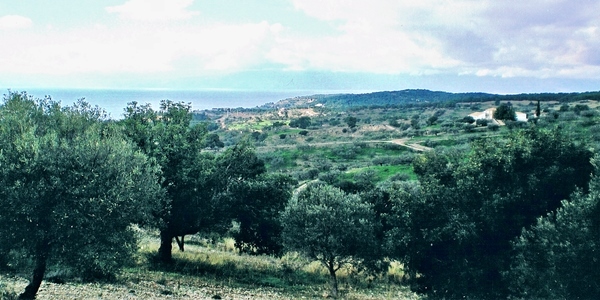 The olive trees could produce approx. 1.000 liters (250 gallons) of oil when properly tended. 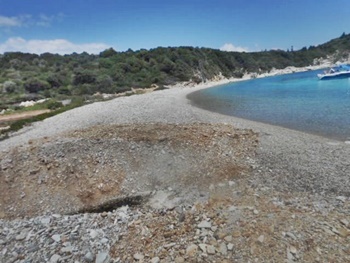 The smaller plot offers your own private beach (rocks), while the larger plot, with access road (sand), is on a large plateau suitable for the construction of a residence, hotel or an apartment complex. 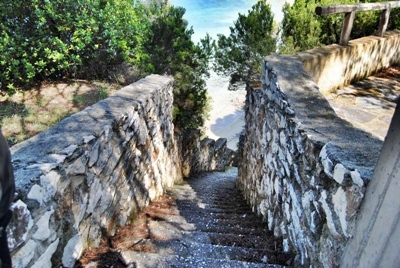 Build a staircase to the beach to make it more easily accessible. Utilities to be developed. Electricity nearby; suitable for solar energy. 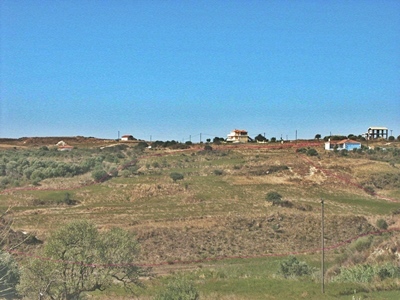 The property belongs to the village of Lepetymnos. 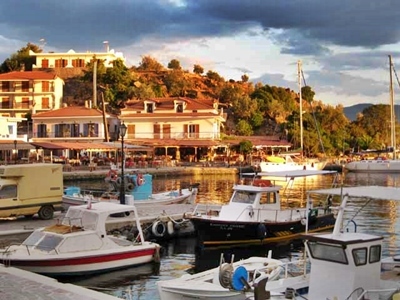 The legendary fishing village of Skala Sykamnias, where you could moor your boat in the picturesque harbour, is just a few kilometers away. 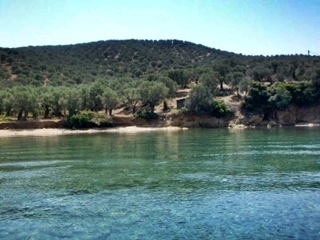 The hot springs of Eftalou with its individual and shared therapeutic baths, are an easy 20 minute drive. 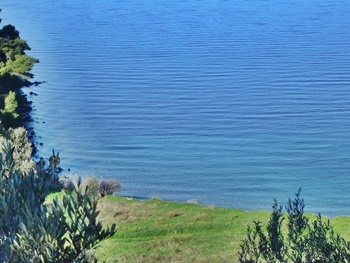 The property is located in Karystos (Southern Evia), it is a plot of 4000 m², and is a amphitheatre of land, off plan, with cleared titles, and cleared from the archaeological services and the forest service in Greece . 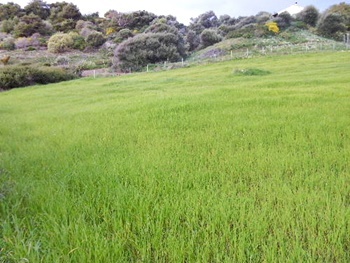 The land is also OFF the NATURA project so is ready to build immediately. The land overlooks the sea and it is just 150 meters from the beach. Also it has access to the road and the building allowance is a total of 200 square metres (up to 2 floors and 7.5m height ) for residential use OR 800 sqm for hotel use. 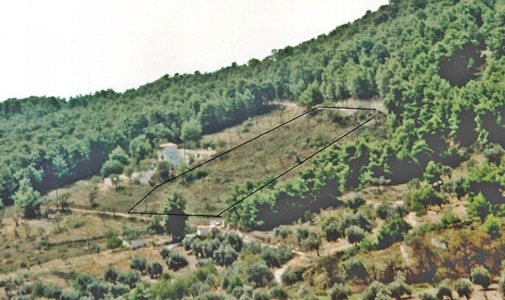 The plot is 6,352.79 square metres and is located on a rocky slope. No other buildings are allowed to be built in front of the plot. 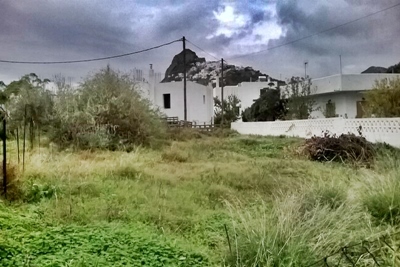 There is a valid building license available for 2 villas with an area of 255 square metres for the two villas, in traditional Cycladic style which can be unified into one villa.Full plans available on request. The building licence runs out by the end of March 2014 and the concrete skeleton has to be completed by that date otherwise the license will have to be renewed. The plot includes an old traditional cottage of 27 square metres which can be transformed to a studio/guest house. 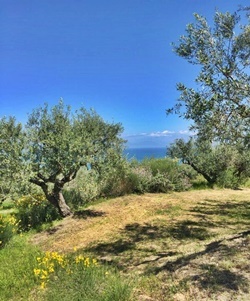 From the property one has idyllic views overlooking the North Evian Sea to the right, the valley of Theologos in front and the bay of Vivos to the left. For a Word Document with a full detailed description please E Mail Brian E Mail Brian. 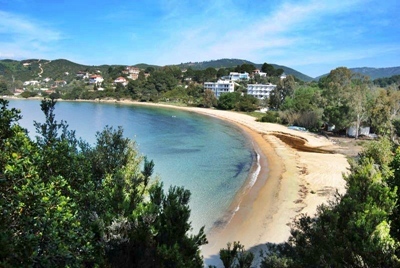 This large seaside plot of land is 17.173 square metres in area in the well sought after area known as 'Kolios' on Skiathos Island. 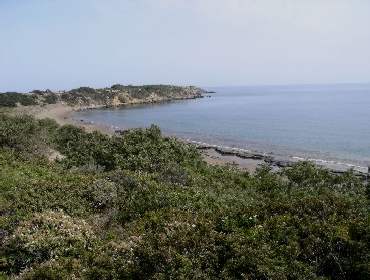 The plot has direct access to the beach and makes it an exceptional place to build a grand summer villa. 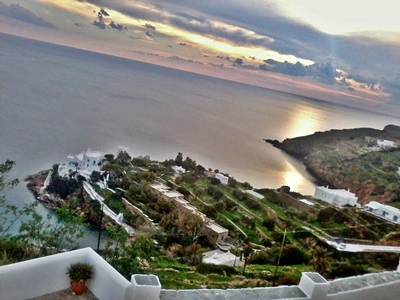 Its views are simply amazing and the distance to the beach is only 75 metres. 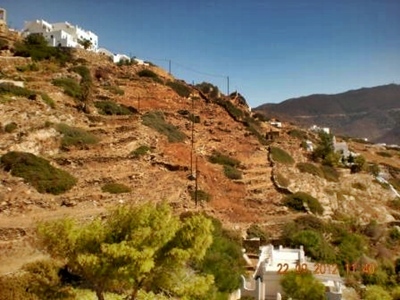 Price : 550,000 Euros Code : Skiathos BUS RA/010 For take over discussions with the owner please E Mail Me. E Mail Brian. 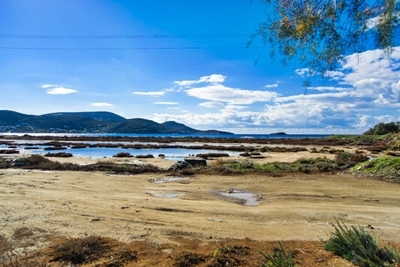 Xilokastro is on the South side of the Gulf of Corinth and only 35 klms from Corinth itself it is 160 klms from Athens Airport on the main highway. 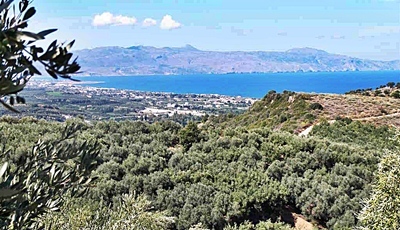 The land which has fabulous views along and across the Gulf of Corinth is 7 klms from Xiliokastro which has Banks , Hospital and a Pharmacy. 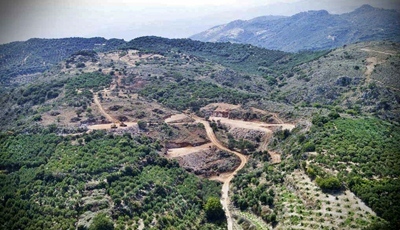 The land can be cut into 1,000 sq mt plots, with a building allowance of 400 sq mts for each plot, if the 1,000 sq mt plots were cut again ( Halved ) they would have a building allowance of 200 sq mts for each 500 sq mt plot. It is possible to build 18 houses or 27 houses if the 1,000 sq mt plots are cut into thirds of 330 sq mts each. The land has all services, electricity and water, and the Vendor has Architects and builders and can build the houses for a developer. 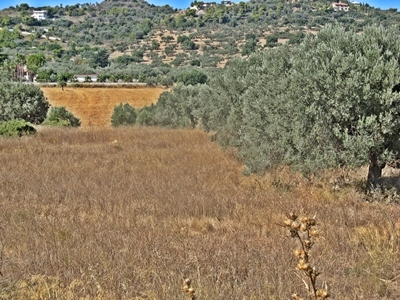 A large development plot of approx 30,000m2 in a fantastic location within 1.5kms of the village of Plaka. 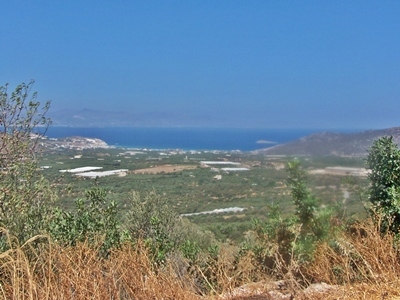 The plot enjoys outstanding views of the village, the island of Spinalonga, the open sea and mountains in the distance. 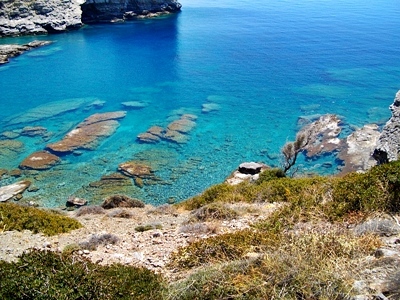 Plaka is a gorgeous little traditional fishing village just 5 kms along the coast road from Elounda. 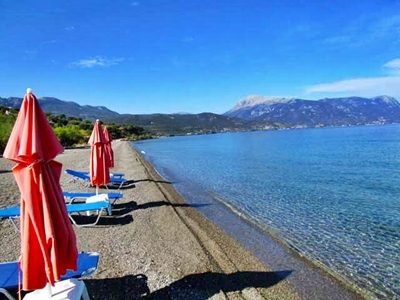 There is a lovely small beach and in addition to the few local bars and shops, there is a good choice of excellent fish tavernas in the village. 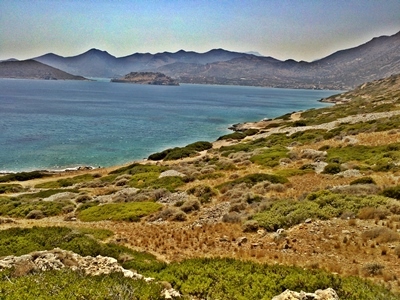 The former Venetian fortress and leper colony of Spinalonga is a short boat ride away, attracting many visitors from around the world and recently made even more famous through the best selling book The Island. 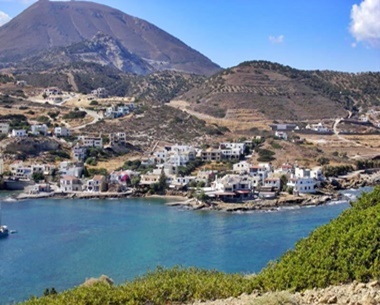 Elounda is a cosmopolitan area with a large choice of restaurants, tavernas, bars, shops, banks and some of the best luxury hotels in the world. 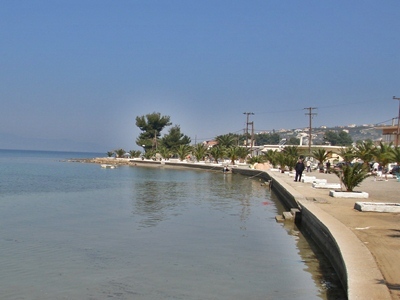 There is also a pretty beach and delightful harbour area. 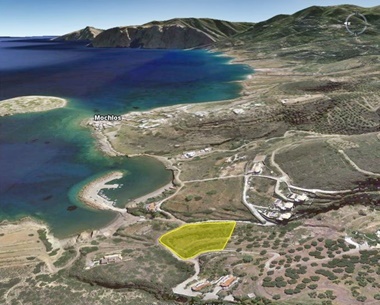 A not to be missed opportunity to create a 1st class residential or commercial development in an as yet unspoilt area. 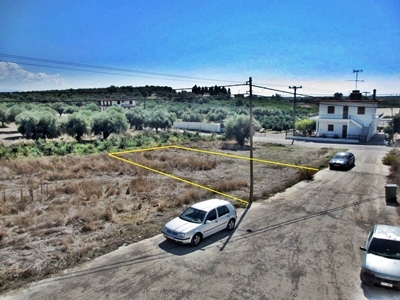 This commercial plot can build up to 550 square metres of building allowance. 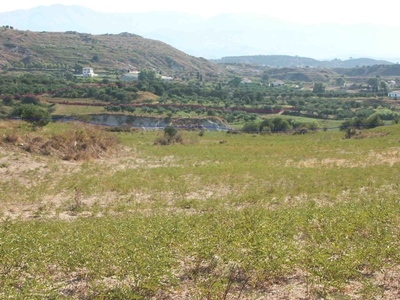 A superb commercial site looking out over Naoussa. Owners are civil engineers and all the paperwork is in order. 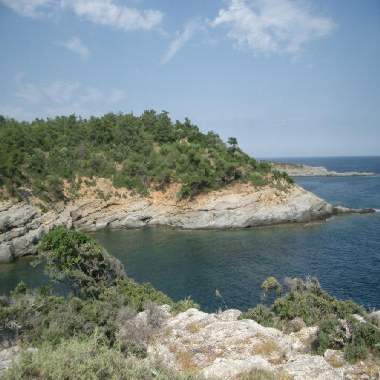 A rare opportunity to buy a secluded sea side building plot on the island of Thassos, in the Northern Aegean. 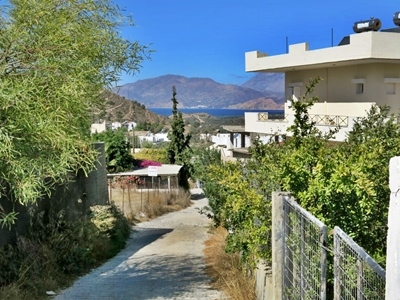 Its proximity to the sea, secluded location and boat moorings offers a unique combination in the current market place. 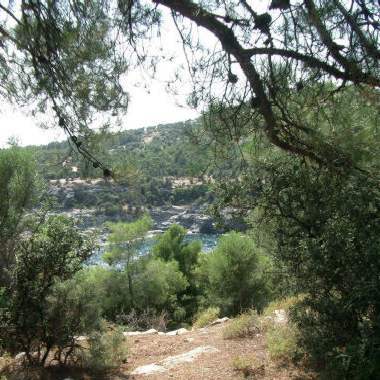 The site occupies an elevated position some 30 metres above the sea and contains numerous fir trees and olive trees. 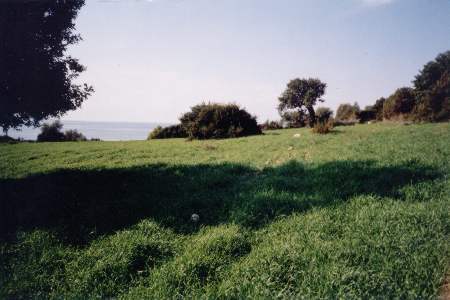 The land slopes gently toward the sea with which it boarders on two sides. 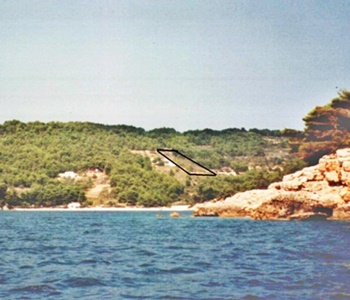 On one side is a small horse-shoe shaped inlet providing sequestered mooring and fishing. 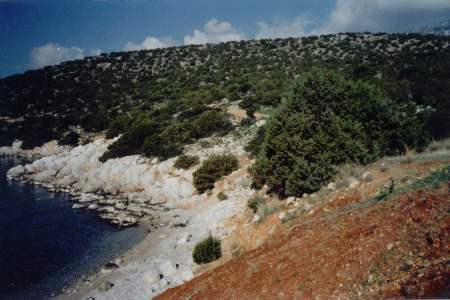 A narrow band of rocky “forestry” land lies between the property and sea. 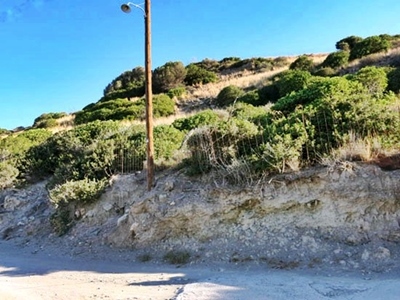 This band cannot be built upon so the wonderful views toward the sea from the land’s elevated position cannot be compromised by future development. There are currently four contiguous plots on offer. Two of 4,000m2 and two of 5,774.5m2. These plots may be purchased separately or as a whole. 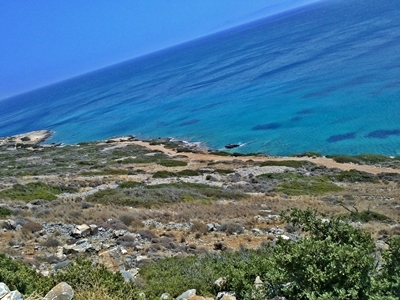 If purchased as a whole, then an additional separate plot of some 1,000 m2 situated at sea level is included. 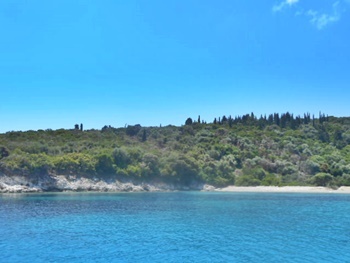 This would provide the opportunity to develop a pool complex, a bar, a spa or a summer house at sea level Each plot would support 200m2 of domestic housing or as a whole could be used to develop a large hotel complex. The vendor hold certificates which confirm that the land is neither “forestry” nor of any archaeological interest and thus can be developed. The vendors hold clear and unequivocal title to the land. 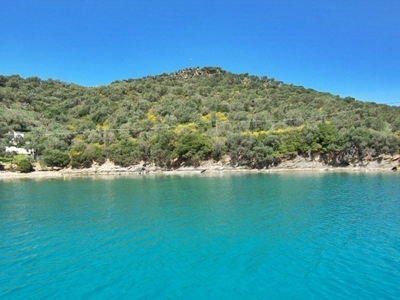 The land is close to of the village of Astris which is on the southern side of Thassos. 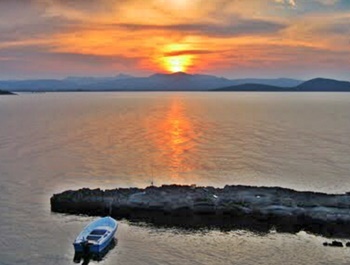 Access to the mainland is via ferry boat from either Thassos town or Prinos. 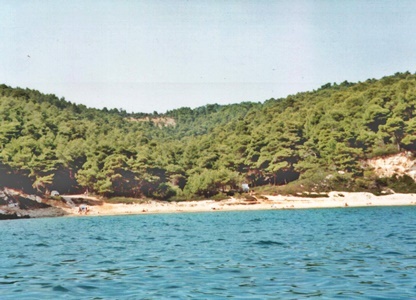 It is approximately 40 minutes by car to Thassos town, and the ferry to Keromote on the mainland takes 35 minutes. 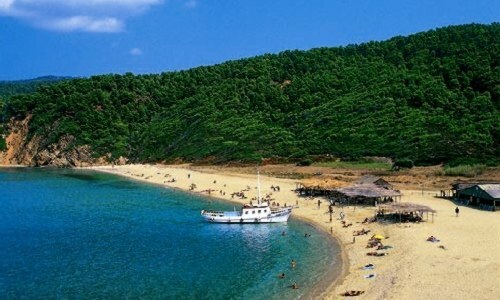 It is then a short 15 minute drive to Kavala Airport. 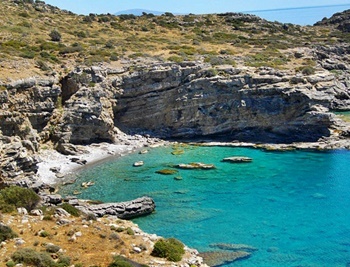 In the summer there are regular charter flights to UK and throughout the year there are scheduled flights to Germany and Athens. 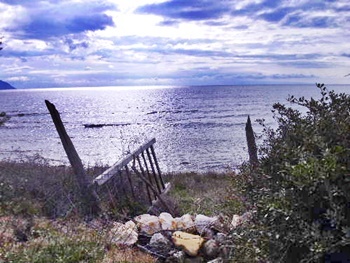 Sea Side Plots Like This Do Not Come Up Very Often : A Unique Opportunity. 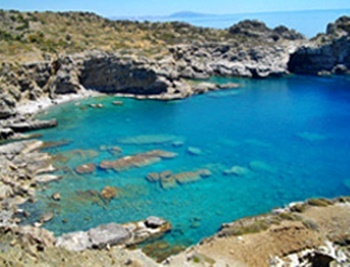 27,300 square metres of development land touching the village of Potamos on the Island of Kythera. 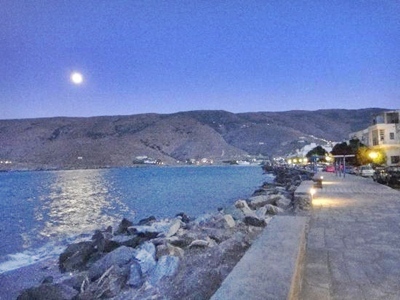 The building allowance is 2,000 square metres, but for tourist complex it is much more. 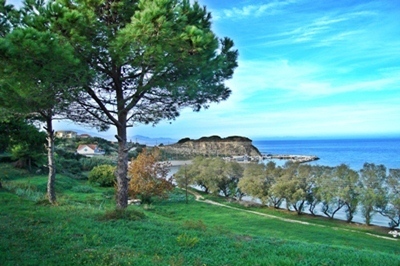 Panoramic view of the countryside and sea view at the entrance. 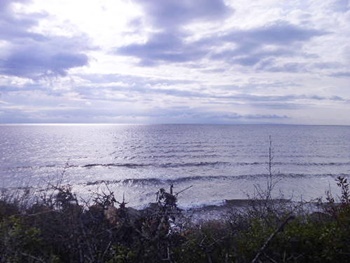 All services are on the land which is 10 minutes from the sea. 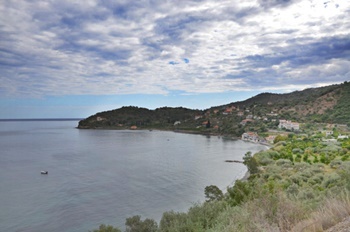 At the most beautiful place of Parga, near Valtos beach there is a piece of land about 4,000 sq.m with a wonderful view to the sea, the castle of Parga, the monastery, and the Islands of Paxos and Antipaxos. 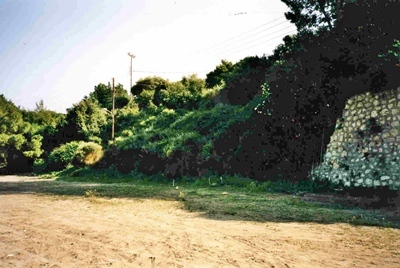 This is a unique piece of land, which can be used also for professional use. 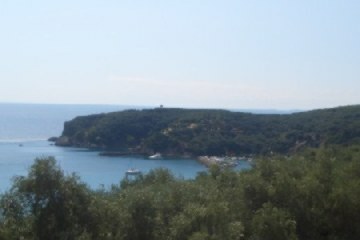 Easy to be built on, as it is on the road from Parga to Valtos beach. 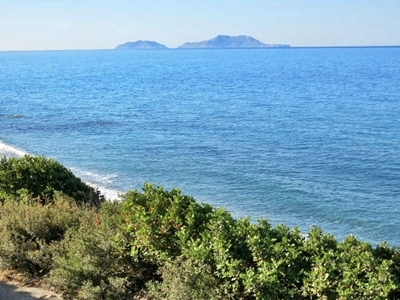 A Great Opportunity To Purchase a Fantastic & Unique Plot By The Sea. If you want to visit and view Please E Mail Brian. 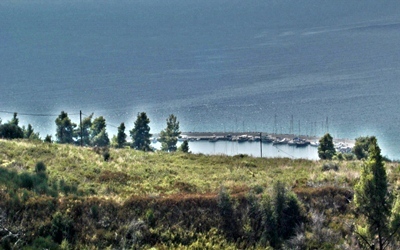 Just South of Salandi Bay. 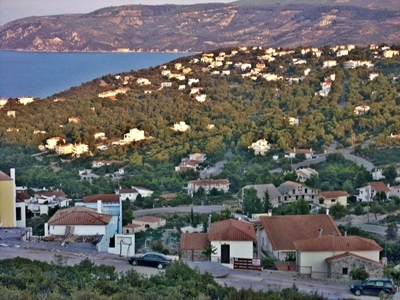 Near To Other High Quality Villas. 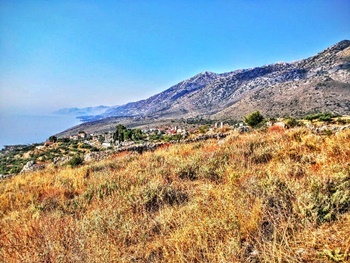 In a part of the country favoured by Athenians is this large 76,000 square metre piece of land on which can be built luxury villas with an exceptional outlook to the gulf. 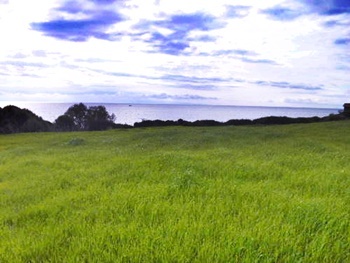 The land is gently sloping land towards the sea side. 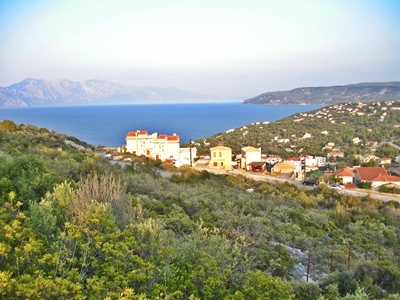 This is a beautiful stretch of coastline which contains luxury villas, looking over to the private Koronis Island and Kilada across the bay. 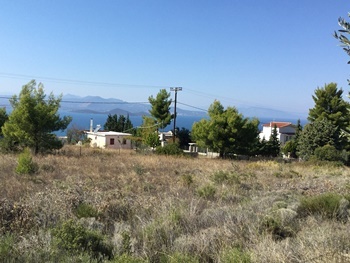 Only 700 metres from the sea, and in a part of the country favoured by Athenians are these two building plots on which can be built luxury villas with an exceptional 40% building allowance. The land is gently sloping land of 1317 square metres and 1370 square metres respectively which allows a building of 526 sq mts on each piece. 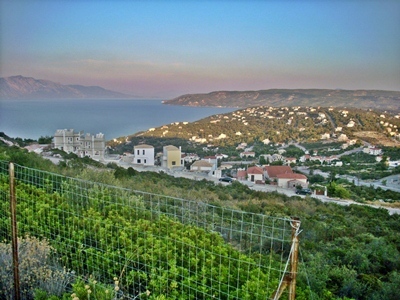 This is a lonely stretch of coastline which contains luxury villas, looking down to the beautiful Salandi Bay. 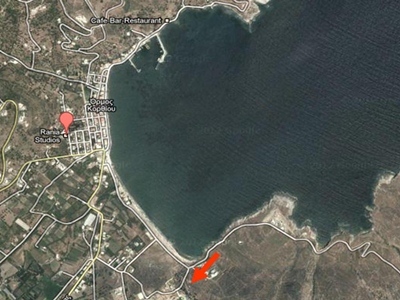 20,000 Square metres of land for sale with a sea view from any point of the land. 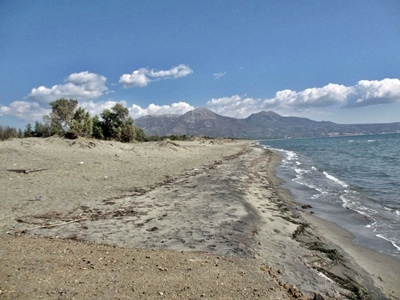 Access to a 400 metres " private" sandy beach. Free certificates from archaeology and forestry. 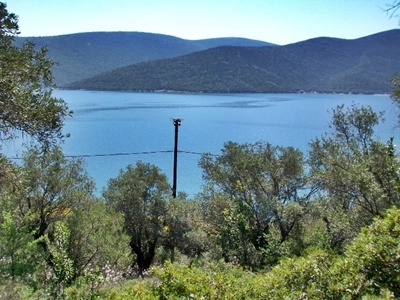 Electricity / Public Water / Telephone facilities available, with connections ready every 50 metres. 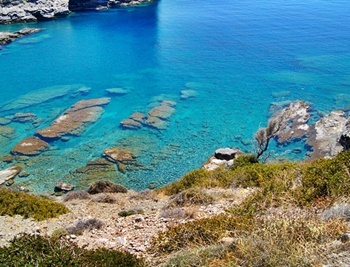 There is a 220 metre long, dead end, 5 metres wide private road to the land which is protected all round by a 2 metre wall. There is one gate. You can build 18 small villas, 50 / 75 / 100 m2 each. 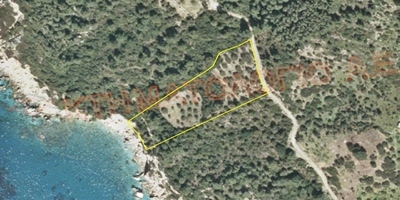 There is also a licence on a piece of land next to the beach for building 2 individual villas of 200 m2. 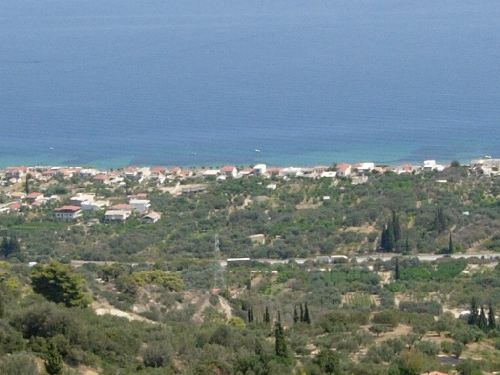 32.160 Square metres of land for sale with a direct sea side location. 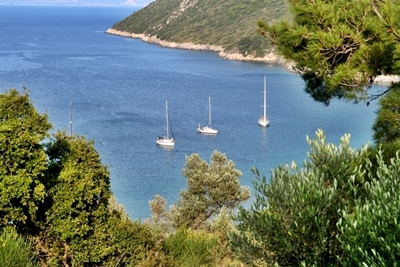 Overlooking a most beautiful sheltered, natural bay providing safe anchorage to sailing boats and yachts. 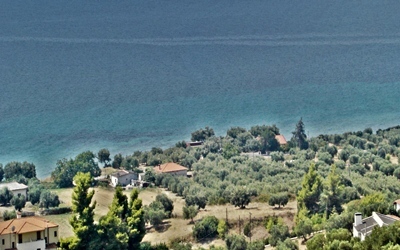 You can build 20 to 25 summer resort houses on the site for rent or sale.